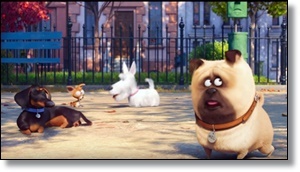 The film ‘The Secret Life of Pets’ (CMCSA) opened with a massive $103 million dollar opening weekend, crushing expectations. While the film might be a cash cow though for Universal Studios, pet retailers can expect to cash in on the animal themed film. After the release of films like ‘101 Dalmatians’ and ‘Finding Nemo’ there was a spike in Dalmatian and Clown fish purchases. Animal shelters and adoption agencies interviewed by FOXBusiness.com advised that they don’t expect to see a spike in adoptions or animal purchases based on the various animals in the film, but that that could change over time. PetSmart collaborated with the film on a special collection of dog toys, beds, and clothes among many other items. According to the pet retailer, the best selling product are the Buddy Bungee Toy, Max and Buddy plush toys and the Gidget Ruffle Dress. Max plays the lead role as a Jack Russell Terrier, Buddy is an easy going Dachshund and a friend of Max’s, and Gidget is a Pomeranian with romantic intentions for Max. Rebecca Frechette, the Senior Vice President of Merchandising at Petco says that the pet merchandising market is strong and fashionable items like travel supplies and collars have been trending well. She also notes that consumers have a high interest in adopting pets. “People really want to help pets and make them a part of their family” Frechette tells FOXBusiness.com.